Totally irresistible! Those brownies have a perfect texture and moistness. No no no these do not look like the classic brownies I usually make but better! And funny I have been dreaming about this kind of dense, super moist, chewy brownie chock full of nuts but wondered where I could find the perfect recipe! Now thanks to you and Alice I've found it! Fabulous i am so excited! And my son will be so pleased! I often crave a hit of chocolatey goodness Lisa. Brownies seem perfect for my cravings. I'll accept that title! :) I can't wait to try that mushroom dish too! I love recipe books that offer so much more than just recipes. Of course, I also adore brownies. This is an interesting approach to brownie making, however, I'm not sure I could wait long enough for them to take a bath before wanting to devour them! I adore Alice Medrich recipes! Sigh, another cookbook for my wish list! How can I resist such chocolate indulgence? They look so moist and chocolatey that they could almost be called chocolate fudge. That ice bath makes total sense! I gotta tell Mrs K R (the brownie baker in our household) - she'll be all over that. Great recipe and sounds like a terrific book - thanks. 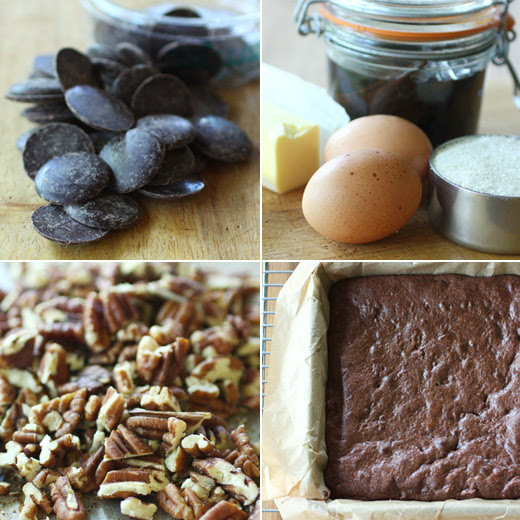 Wow Lisa, your brownies look perfect, awesome texture…gorgeous! This looks like chocolate heaven to me! Love your unique brownie recipe, it's very creative and looks so good. the ice bath is a very new concept for me--how interesting! 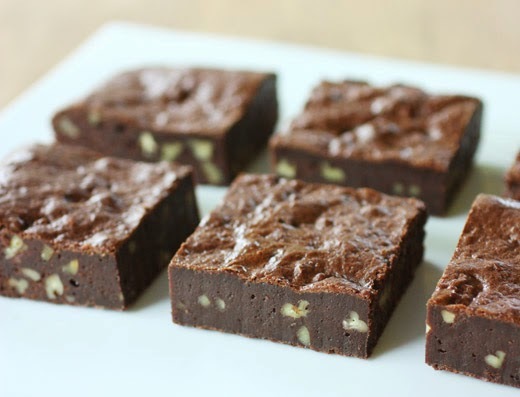 i love the texture of these brownies, so dense and fudgy. the entire process is worth a try, for sure. damn, i can imaine the taste in the edge of my tongue! 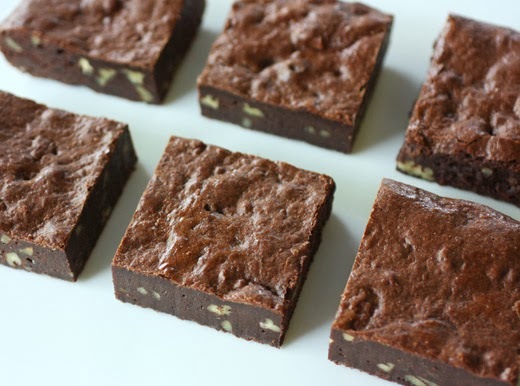 These brownies look so tempting and I the cookbook is very interesting and a must have. Wow, these look amazingly delicious. Must save for a special treat and I love that you can adjust them and make them just as delicious with any percentage of cocoa. What size of pan do you use for these Classic Choc. Brownies please? Can't wait to try these, they look so yummy. Can you please tell me what size of pan you used? Amelia: Sorry, I didn't realize that was left out of the recipe! They were made in an 8-inch square pan. Thank you! Made them, and they were a hit! Everyone wanted more when all gone, so you guessed it, I'm making more this weekend. Thanks for sharing the recipe!